The satta bazaar is closely following the developments coming from the political area of Karnataka as Rs 5,000 crore rides on the outcome of the floor test scheduled to happen at 4:00 pm today. The ongoing political tussle in Karnataka has drawn attention from every circle, even the betting market. The satta bazaar is following the developments in the southern state with a keen eye as Rs 5000 crore has been staked on the outcome of the floor test in Karnataka Assembly. The newly elected Karnataka MLAs would meet in state assembly at 4:00pm today for a confidence vote against the BS Yeddyurappa government. The satta market seems to be betting on a Bharatiya Janata Party (BJP) victory today in Karnataka floor test. Bookies are confident that 14 MLAs from the Congress-Janata Dal (Secular) alliance will not participate in the vote of confidence in Karnataka Legislative Assembly, clearing the way for BJP to rise to power in the state. In the betting market, the chances of winning increase as the bhaav (rates) go down. According to inputs from top satta traders, BJP is the top choice with a rate of 45 paise. The Congress-Janata Dal (Secular) alliance is the lesser favourite pick with a rate of Rs 2.25. This means if someone was to put a satta of (bet) Rs 1 lakh on BJP, and the party wins the floor test, the person will get Rs 1.45 lakh in return. If Congress and JD(S) manage to form government in Karnataka, the return on the same Rs 1 lakh would be Rs 3.25 lakh, amounting to a staggering profit of Rs 2.25 lakh. If Congress-JD(S) loses the vote of confidence, the person will get his money back without any returns or profit. 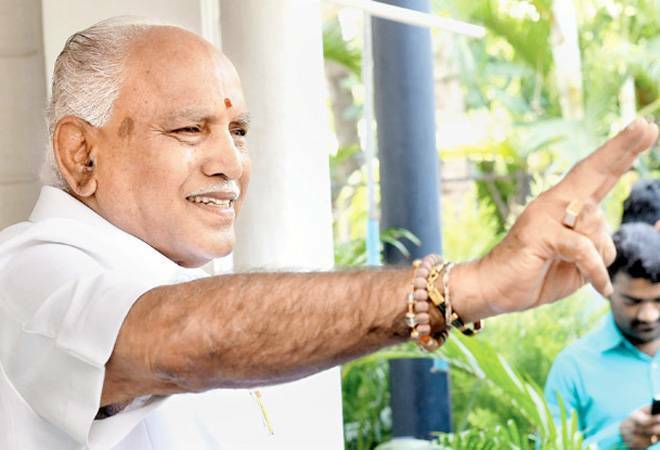 Yeddyurappa was sworn in as the Chief Minister of Karnataka after Governor Vajubhai Vala invited BJP to form government in the state despite lacking the required number of MLAs. While the Supreme Court refused to stay the swearing-in ceremony, it did ask Yeddyurappa to face a floor test to prove that he had the required number of MLAs supporting him.